Once upon a time, a 1.6-gallon-per-flush toilet was adequate, but more jurisdictions are adopting tighter rules, so a standard unit will not always do. Water regulations are getting tighter for a reason: The natural resource is growing increasingly scarce. Drought, high demand in areas of low availability, and the disruptive effects of natural disasters are three main reasons. A 2018 United Nations World Water Development Report says 1.9 billion people live in potentially severe water-scarce areas and that the number of people at risk from floods is projected to rise from 1.2 billion to about 1.6 billion in 2050. Before 2010, states were prohibited from adopting lower water-use thresholds than the standard 1.6 gallons because of preemption by the federal government, but the U.S. Department of Energy lifted that rule, the Alliance for Water Efficiency (AWE) says. As a result of AB715, builders and developers in the state must use toilets that use 1.28 gallons per flush or better and urinals that use 0.5 or better. But California was just the beginning. Since then, other major jurisdictions followed with similar legislation: Texas, Georgia, Colorado, New York City, and Miami‐Dade and Broward counties in Florida have adopted high‐efficiency toilets rules. “Currently, 29.7 percent of the U.S. population is subject to these more stringent requirements for indoor plumbing fixtures (toilets and urinals),” AWE says. Green building advocates say more states will follow in the coming years. These days it’s easy to find high-efficiency toilets that easily exceed all of the various jurisdictional water-use standards. Moreover, manufacturers have significantly improved the performance of their toilets. 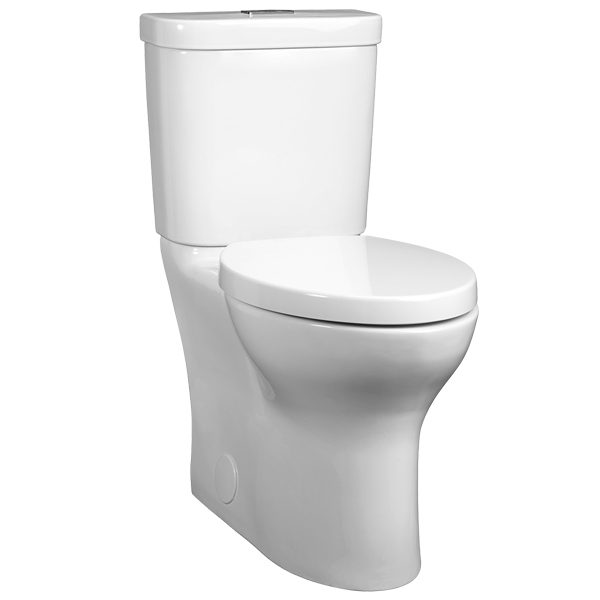 The Sydney Smart II elongated toilet flushes with either 1.28 gallons or 0.8 gallon. It also has a MaP test score of 1,000 grams. Stealth One Piece is a single-flush unit that uses 0.8 gallon per flush. Easy to clean, it has a MaP Score of 800 grams. 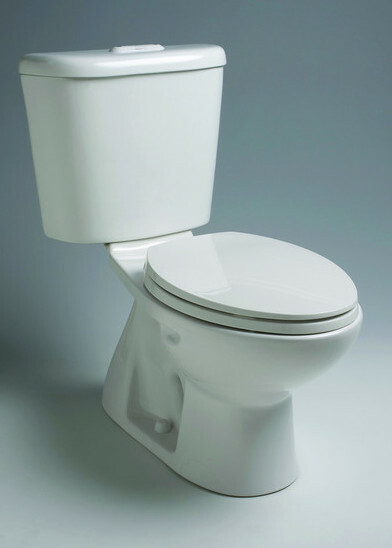 The Palermo II two-piece toilet flushes with 1 gallon of water. 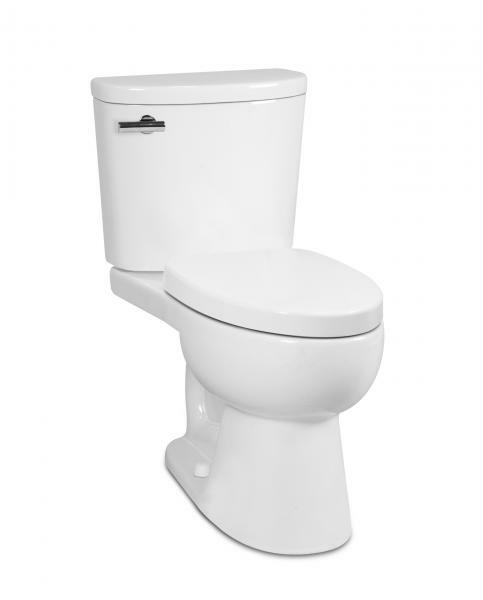 Available in two colors, the unit has an oversized 2 1/8-inch trap and a soft-close seat. 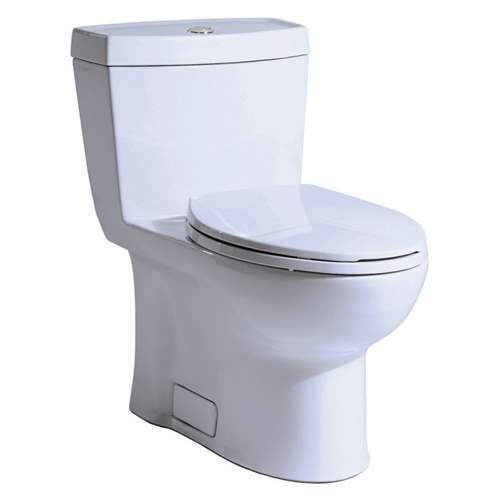 H2Optimum Siphonic toilet uses 1.1 gallons per flush and is MaP Premium listed. The elongated unit has an EverClean surface keeps bacteria and germs out. 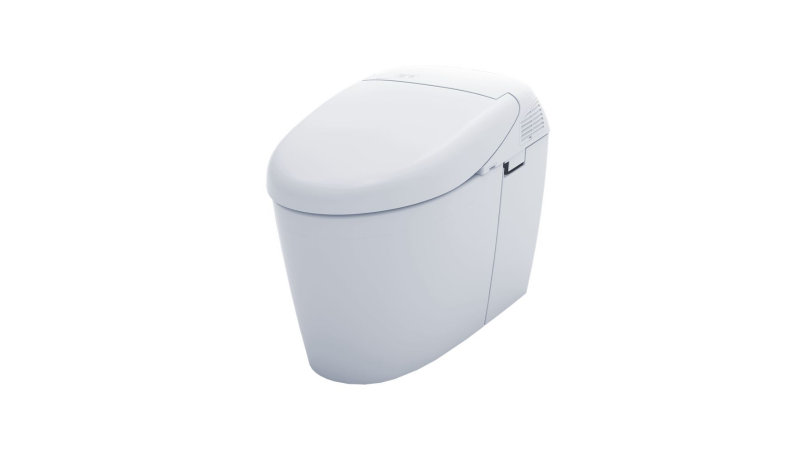 The Neorest 500H is a luxury toilet that uses 1.0 or 0.8 gallons per flush. Loaded with features, it offers remote control sensor, personal cleansing, heated seat, and air deodorizer, among others. 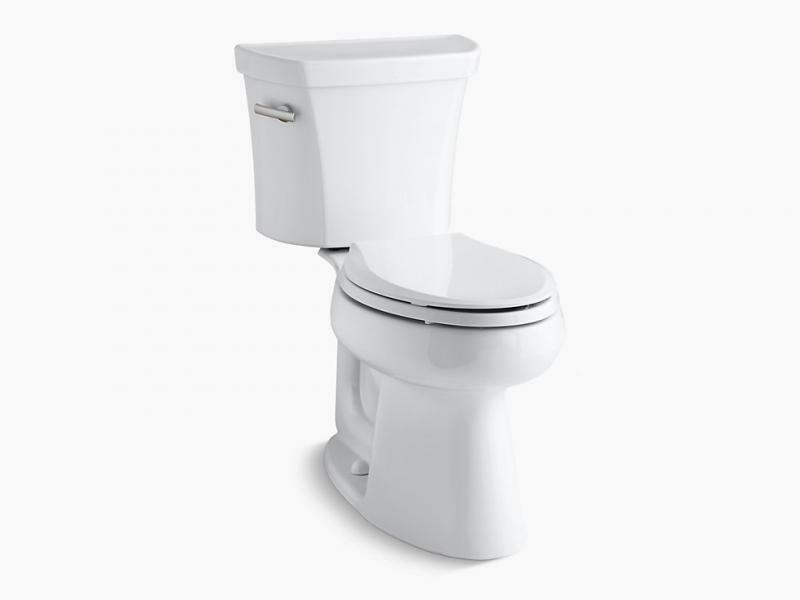 Operating with 1 gallon per flush, Highline is a comfort- height two-piece toilet with an elongated bowl. It has a MaP rating of at least 600 grams. 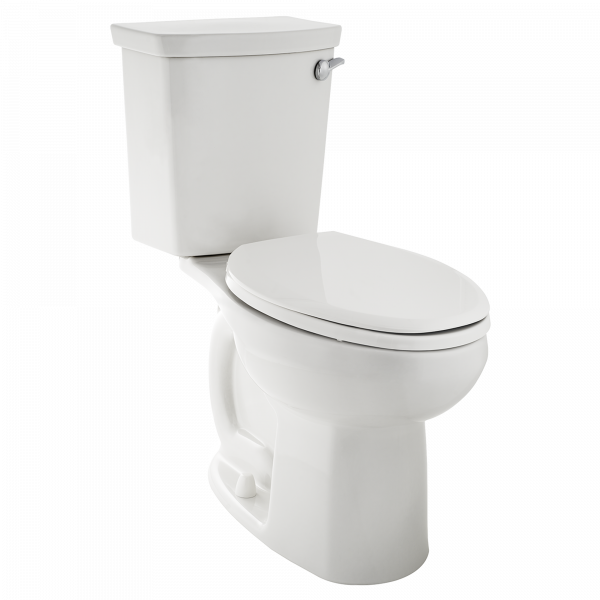 The Equility two-piece toilet uses either 1.28 gallons per flush or 1.0 gallon. It has an elongated design, a siphon action jetted bowl, and an EverClean surface that inhibits the growth of bacteria, mold, and mildew. Toilets with a MaP Premium label identifies products that offer both superior performance and efficiency. MaP tests for bulk waste removal in a single flush. Residential toilets must flush with no more than 1.1 gallons and demonstrate a removal of at least 600 grams of solid waste removed in a single flush. Consider pressure-assisted toilets to help save water. Though noisier and pricier than gravity-fed units, pressure assisted units release water at high-speed so that the bowl can be cleaned more quickly and the waste can be carried away more effectively. Look for one-piece toilets. The units are easier to clean, have fewer parts, and offer a cleaner design in the bath. One-piece toilets are also trickier to install. Choose a comfort or chair-height unit. Meeting Americans With Disabilities Act regulations, the units have seats that make it easy to users to sit and stand. The seats measure between 17 and 19 inches. Elongated bowls can be more comfortable some users, though they take up more space than a traditional round bowl. But more manufacturers are developing elongated units that take of the same space as round-front units.